Fishing was one of the main industries in the west of Cornwall from the middle ages. While Penzance had initially been the main fishing port, this changed as it became more economically dependant on tin mining. Fishermen and Fish merchants moved their fish businesses to Newlyn and Mousehole in the late 17th century. Methods of fishing and fish processing developed in the 17th century changed little until the late 19th century. In Mount's Bay fishing was by one of three methods: hook or hand lining, seining and drifting. Pilchards were the main catch but mackerel became important in the late 18th century. With fishing being the main focus, the village has developed around its harbour. Newlyn has two quay areas, the old quay where only a few boats moor, and the main larger one where the majority of the boats moor and can access the Fish Market. While there are many fishing villages in Cornwall, Newlyn is the one to visit to see a real commercial port. There is an important fishing market and, if visited early in the morning, the catches that are landed there before auction can be seen. 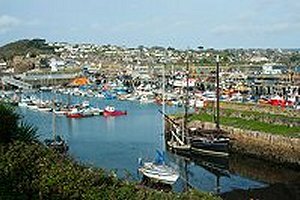 Newlyn's economy is largely dependent on its harbour and the associated fishing industry and Newlyn harbour is the largest fishing port in the south-west of England. The port was a focus of the pilchard fishery until the 1960s. 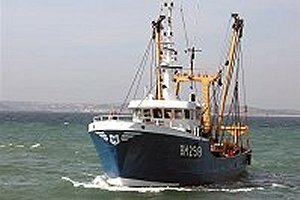 Today, a few vessels have resumed pilchard fishing and use a modern version of the ring net. Catching a wide verity of species, the largest vessels in Newlyn are beam trawlers owned by W. Stevenson and Sons Ltd, one of Cornwall's largest fish producers, while most of the other vessels are owned by their skippers.